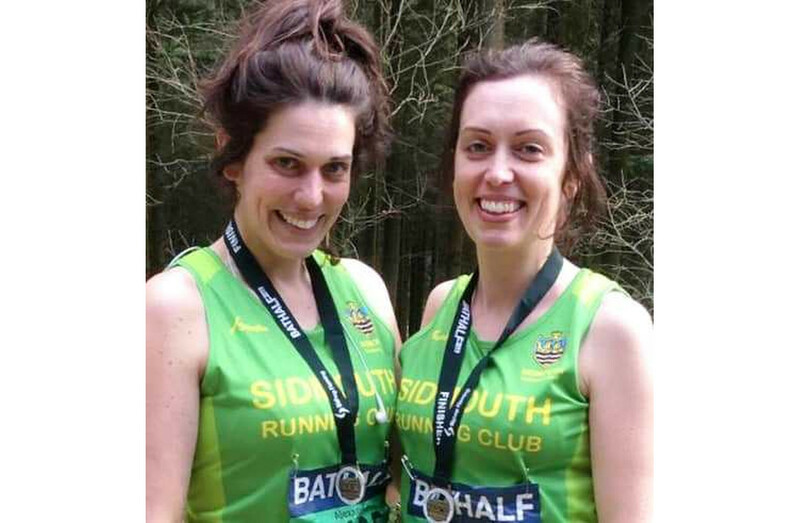 With a record number of entries for this year’s Blackdown Beast, the organisers, Honiton Running Club are hoping to have raised over £2000 for The Macmillen Cancer Support. This event is a social, self-navigating, multi terrain run, with a 10 mile and 16 mile route. It takes place in the Blackdown Hills, an area of outstanding natural beauty. So, for the 20 members of the Sidmouth Running Club attending the Beast, it was party time with pasties, cider, mud, and a bit of running chucked in for good measure.. The runners set off on windy Saturday morning (26th of January) at 10am from the Highfield Sports and Social Club at Dunkerswell. They followed a rural and picturesque route along footpaths, woodland tracks, through fields and over many styles. Headed up farm tracks, through streams and bogs and over the odd hill to Smeatharpe Village Hall. Here the runners were rewarded with a hot pasty and mulled cider provided by the local WI. Then they contend with lanes and country paths that drop down to the village of Upottery. Here, the Sidmouth Arms provided more sustenance to the runners. This is where the 10 mile route finishes. The 16 milers continue along the road to Rawridge, crossing the river Otter and climb up to the ridge. The viewpoint at the top is above Luppitt and has a spectacular panorama of the surrounding countryside. They continued to the Luppitt Inn for another refreshment stop, it is the highlight of this run to have a drink here. The last few miles of the day took the runners over Luppitt Common and back to Dunkeswell. It was by far the muddiest part of the run and included a number of boggy fields before arriving back at the finish line, where again there was a chance for some more food and a well earned drink. 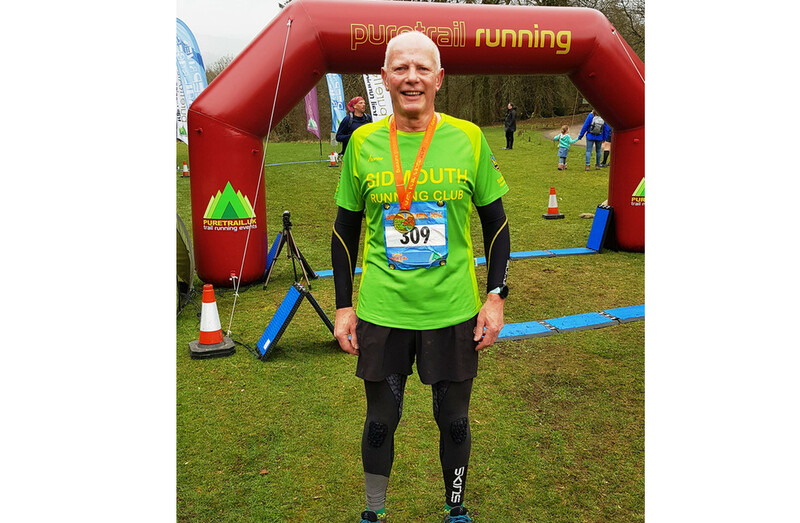 David Wright found the Blackdown Beast tough going, so huge thanks went to Danny Painter for helping him around. David says he normally likes to run with his dog, so uses a Canicross harness (for the dog) and it helps to pull him up the hills. Today he was able to tap into some ‘Dannycross’ power instead! Danny Painter made good use of the stops with a pasty at Smeatharpe and a coke at the Inn at Luppit. He will remember this run for the quantity of cow pats! He took it easy with an average 13.6 min/mile and 3h:42m:45s running time. Els Laureys found this event to be a great, social run. 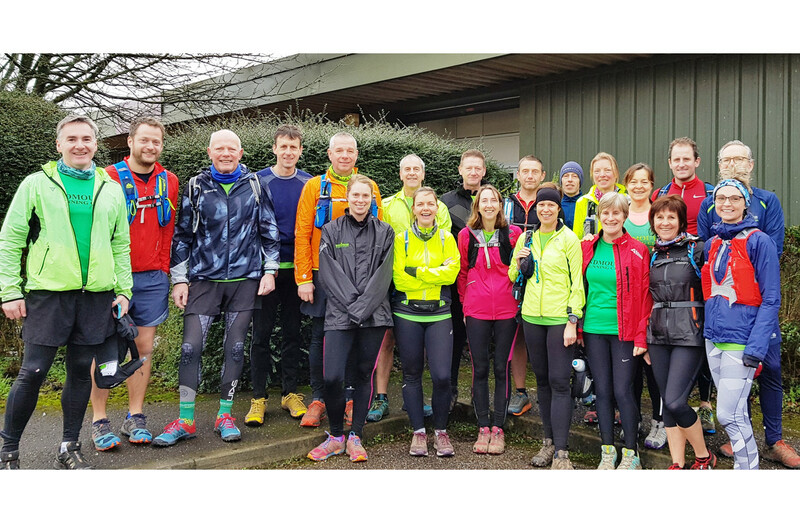 We stuck together with a group of 8 from SRC, Cathy Keast, who came armed with delicious Delia energy bars, also in the group were Monica Read, Nick Dicks, Richard King, Terry Bewes, Sarah Watkins and Helen Palmer. They indulged themselves in a lovely pastie and mulled cider at the first stop, which did not slow progress down in the least. Drinks for some at The Sidmouth Arms which was the second watering hole for all but Nick and Richard, who preferred a beer. The last stop was spent huddled together in the tiniest of pubs having a drink, which i believe this time did slow them down. Never mind, because now was the time for those energy bars made by CK and make a break for the finish line. Nick Dicks and Richard King took full advantage of all the public houses and really got into the spirit of social running. 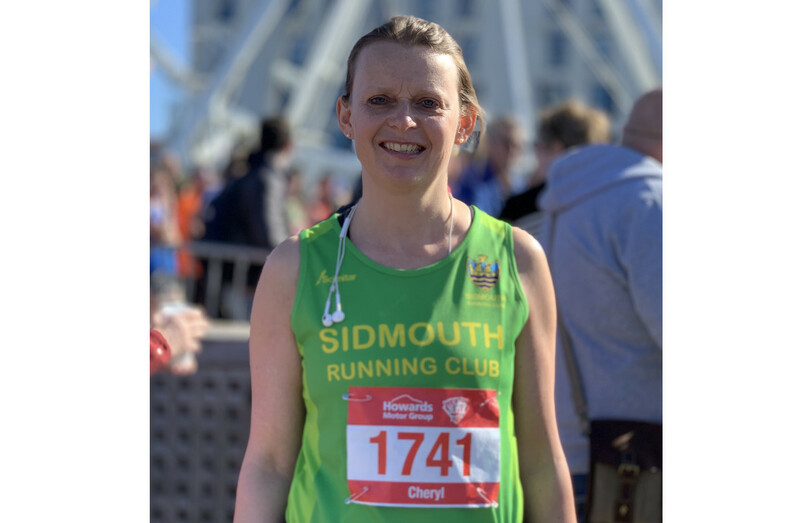 Emma Cudd, Sue Colman and Simon Holyer ran as a small group creating a great team atmosphere. Sam Ingram had to cut his run short due to bad back pains which came on from the start, however he still ran 13.2 miles of the race with an average pace of 10.25 min/miles. Jessica Raynor took this run more seriously than the rest of the MG’s. However, with loads of mud and stiles, she still had a few laughs. She flew the Migty Green proudly taking the 9th place over all and 1st lady all in 2hrs 46. No pasties or cider for this girl during the event, she was on a mission to finish this race in good speed and bag a good placing. Mission accomplished. She then had a drink…or two.